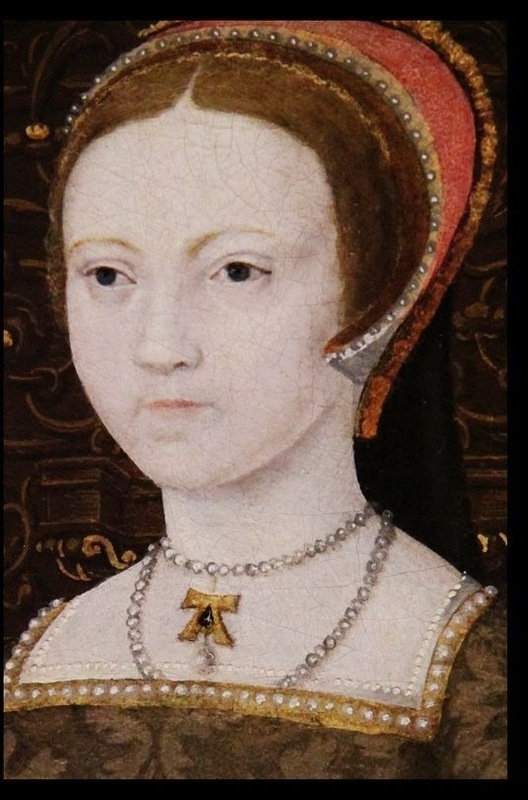 After Anne Boleyn’s execution, Henry sought to erase her from history. The records of her trial – assuming any were kept in the first place – were destroyed. Her personal correspondence – which appears to have been voluminous – was destroyed. Her portraits were destroyed or hidden away so carefully we’re unaware of them today. Henry hoped no trace of his thousand-day queen would remain and history would take him at his word and dismiss Anne as an adulterous whore best forgotten. It was a task at which the king was ultimately unsuccessful. After the records and portraits were purged, and her possessions had been disposed of, Henry began the monumental task of erasing Anne from the buildings that had been erected and renovated during her short reign. It proved to be a much more difficult task than he may have anticipated. In the days of high illiteracy, the nobility relied on heraldry and emblems to make their identity known. 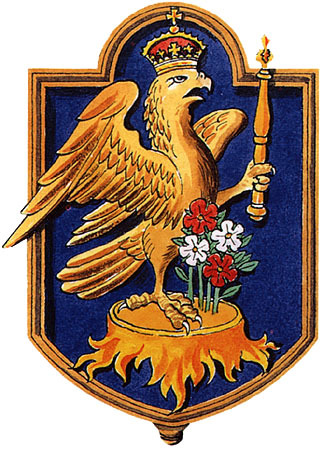 The crest was mainly for the nobility, who would be able to decipher the family connections it displayed, but the ordinary people would be more familiar with the personal device or badge. Badges could incorporate a number of elements to form an emblem that would relay a message to the viewer. 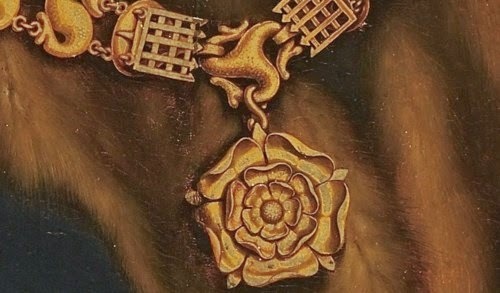 An emblem favored by Henry VIII was his initial woven with his queen’s in a “love knot” pattern. 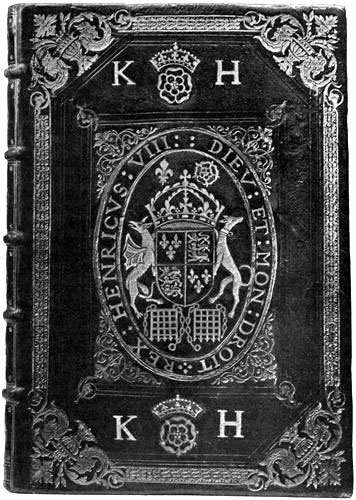 Below is an example of the HK Henry wore on his armor until he ended his marriage to Katharine of Aragon. 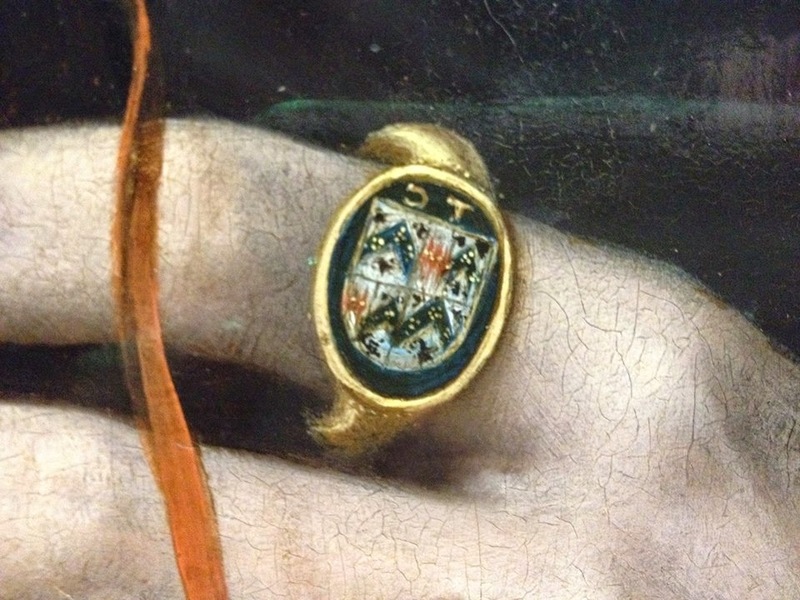 Those initials could be found everywhere: on Henry’s armor, on the walls of his palaces, public buildings, on his personal possessions, stamped on the covers of books, and painted on furniture. 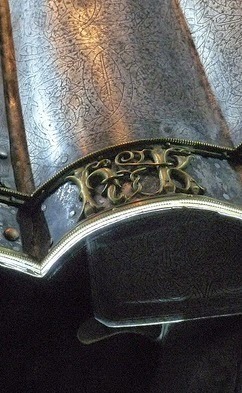 Because Henry’s reign was one of unprecedented royal construction, his initials – and those of his current queen – ended up adorning a multitude of structures. 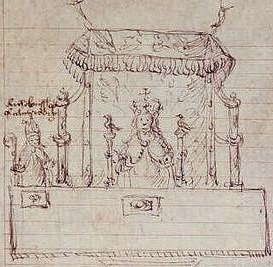 When Anne became queen, she and Henry embarked on a concerted effort to replace all of the HKs, pomegranates, and Katharine’s arms with Anne’s symbols. The white falcon reigned supreme. HA, and RA (Regina Anna) were carved into ceilings and walls, framed into windows, cast into jewelry, and stamped on the covers of books. 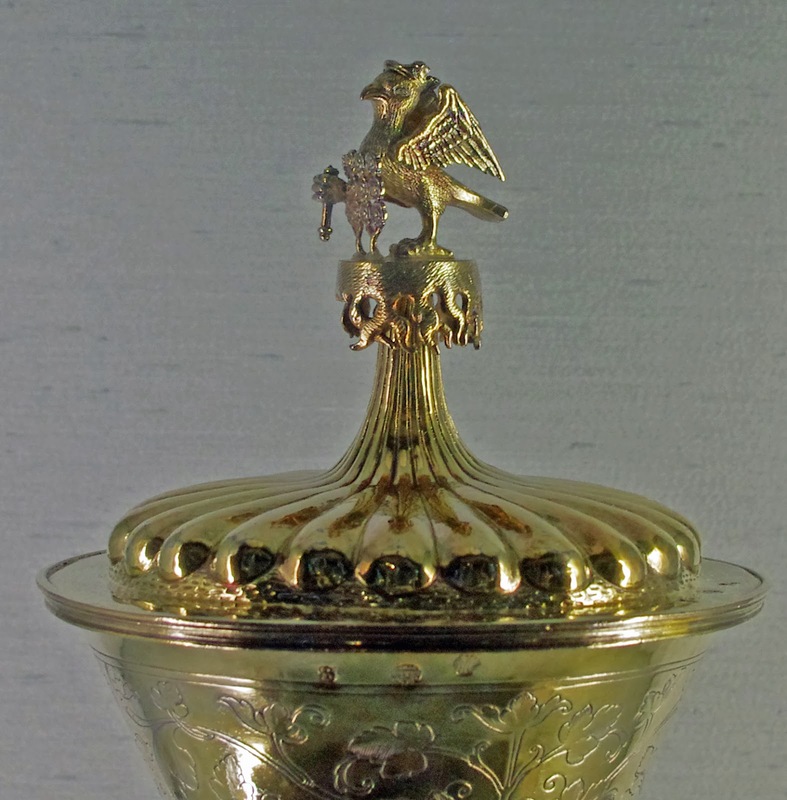 The falcon perched on the lids of Anne’s cups and on the back of her chairs. But when Anne fell, there was a concerted effort to wipe out all of those emblems, and replace them with those of his new queen, Jane Seymour. The new windows Henry had ordered installed at Dover Castle (likely the site of their marriage in November, 1532) with Anne’s badge were ordered to be torn back out and replaced with HI (“Iana” for Jane) and Jane’s phoenix. 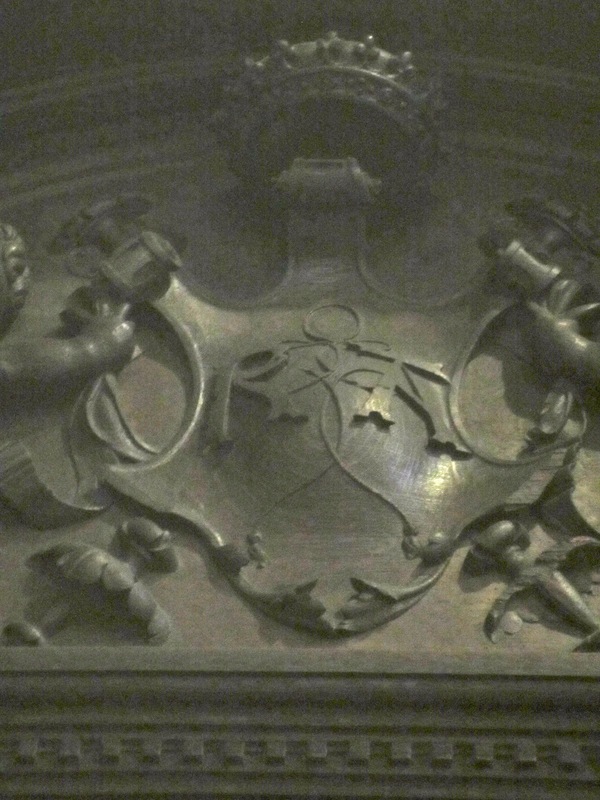 Anne’s leopards were given re-carved heads and tails to become Jane’s secondary emblem of the panther. But there were so many, some were bound to be missed. 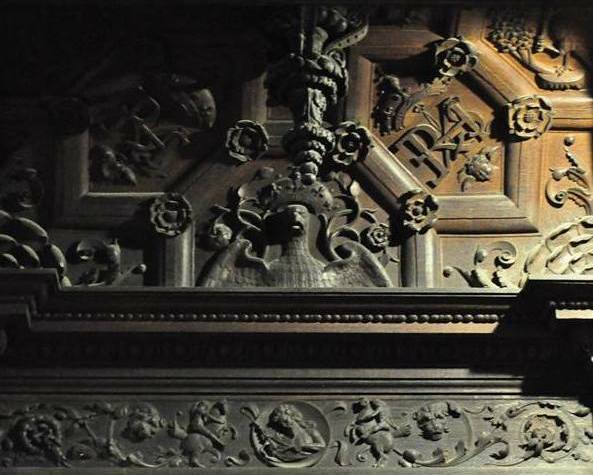 Some of them remained because they were high on ceilings, hard to reach – like the ceiling of the Great Hall in Hampton Court – or in buildings where Henry had forgotten they had been installed. Henry couldn’t even root all of them out from among his own belongings. The postmortem inventory of Henry’s possessions notes items that were still adorned with Anne’s initials, including a bowl of gold dust (for drying ink on letters) with an enameled HA on the lid, and a tablet of gold inscribed with the same cipher. When Henry saw those initials, was there ever a jolt of memory? Did it make him recall the joyous days when their love was writ large across the edifices of England and monogrammed on every possession? Henry continued honoring and blotting out queens throughout the rest of his reign, but the efforts became slapdash as time went on. After Jane Seymour’s death, he no longer bothered putting his wife’s initial on the coinage. 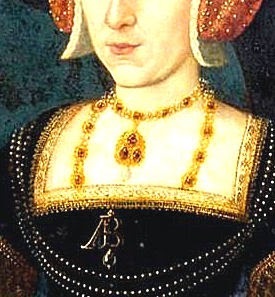 Henry never spoke Anne Boleyn’s name again, but he failed in his mission of eradicating her memory. 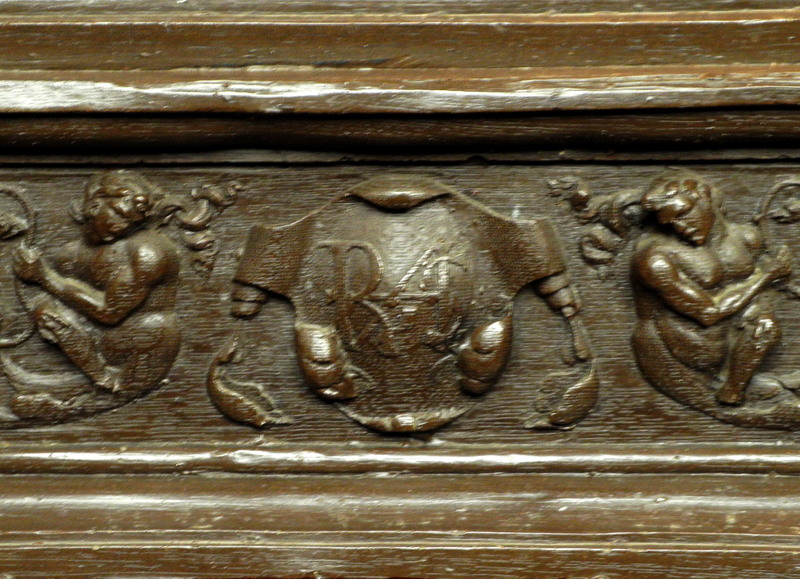 Oddly enough, he allowed his daughter, Elizabeth, to wear her mother’s initial in the Whitehall Family group mural. 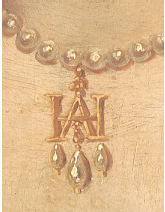 Around her neck, Elizabeth wears a necklace with a dangling “A” pendant. Elizabeth’s choice of jewelry displays a touching tribute to her mother’s memory. Henry’s motivations in allowing it are less clear.